Europe is a diverse collection of countries, each with its own great cities, rich culture, scenic landscapes, and fascinating history. When you dream about a European cruise, what images come to mind? Is it the artwork of great masters, magnificent vistas, or the quaint little villages with cobblestone streets? Maybe it'ss a fairytale castle or open-air markets where you can do your best bargaining! Regardless, there is a European vacation out there to call your own. Northern Europe can be thought of as having three distinct geographical regions. The most familiar region, Great Britain (also referred to as the British Isles), is made up of England, Wales, Scotland and Northern Ireland. Palaces, ancient cathedral cities, delightful villages and glorious gardens abound. It'ss a comfortable place for us North Americans to visit because we don't face much of a language barrier, not to mention our historical kinship with England! 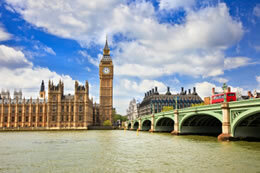 There is so much to see in London and a great way to do it all is a ride on the hop on/off bus. Buckingham Palace, Big Ben, St. Paul'ss Cathedral, Covent Garden, Madame Tussaud's, and the Tower of London are some of the more popular sites. In Scotland it doesn't get any more dramatic than the West Highlands. How about a trip to Scotland'ss most famous lake, Loch Ness, where you can possibly snap a picture of “Nessie” from the ruined Urquhart Castle? Other places you may want to visit are Edinburgh, Dublin, Belfast, Cork and Glasgow. It is said that Ireland is the land that boasts 40 shades of green! Norway, Sweden, Denmark and Finland are part of the Scandinavian region. From its Viking past to its modern-day charm, this area is both culturally and historically rich. In Norway contrast the bustling cities of Alesund, Flam and Bergen with remote landscapes and scenic fjord cruising. This is your chance to experience the astonishing natural phenomena of the spectacular Northern Lights and the Midnight Sun. Stockholm, Sweden is a great walking city and you can get to just about all of the many wondrous sites on foot. The immediate vicinity also offers three sites on UNESCO's World Heritage List: the beautiful Skogskyrkogarden (the Woodland Cemetery), Drottningholm Palace, and the remains of the Viking settlement, Birka. In Copenhagen, Denmark the entire family will enjoy a trip to Tivoli, both a beautiful garden and amusement park. A drive toward Kronborg Castle is a pleasurable way to see the Danish countryside and the Swedish shore. Literature lovers will recognize the castle as “Elsinore,” the setting for much of William Shakespeare'ss famous tragedy Hamlet. The Baltic States Estonia and Latvia, along with Russia comprise a third region. Baltic countries have rich histories that stretch back hundreds and sometimes thousands of years. Each city offers treasure filled museums, fairytale-like castles, and glorious royal palaces for you to discover. 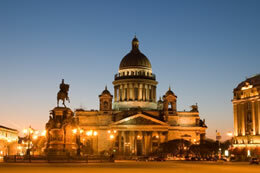 For many, the highlight of this region is St. Petersburg, Russia. You will want to visit the Hermitage Museum, the Peter and Paul Fortress and Catherine Palace with its exquisite Amber Room. And have you heard of Estonia? The country has been previously occupied by Russians, Swedes and Germans with each leaving its mark on the culture. The old town of Tallinn is quite possibly the best protected and intact medieval city in Europe. Cruising is an easy, cost-effective way to explore the continent of Europe. With the number of itinerary possibilities, upwards of 20 countries or 70 ports to consider visiting, being able to leave the complicated logistics involved in European travel to the cruise line is a wonderful thing! No lugging around heavy suitcases; instead, unpack once and your ship acts as a floating hotel, moving from city to city while you sleep or enjoy the amenities of the vessel. From a monetary standpoint, choosing a cruise makes good sense. Fluctuating exchange rates have little impact on your budget when you cruise because it'ss nearly an all-inclusive pre-paid package. There are very few cities located near or along the coast Europe that are not accessible by cruise ship. 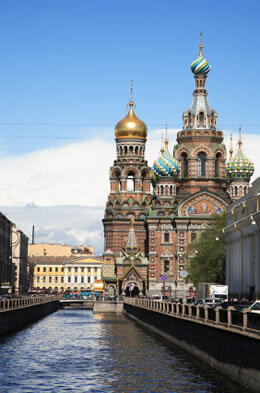 Ten to fourteen night cruises combine the British Isles with the Norwegian Fjords or Scandinavia with Russia. Some even venture up to the Arctic Circle. Escorted cruise tours or pre and post cruise stays add the chance to travel further inland or linger a few days in the city of embarkation. All this makes cruising to Europe a wonderful, stress-free opportunity to visit some of the most enchanting cities in the world. Just as Europe has no single culture, there'ss no one way to take a European cruise. Trips travel through the warmth and gastronomical passage that is the Mediterranean, while others explore the beauty and remoteness of the continent'ss northern countries. 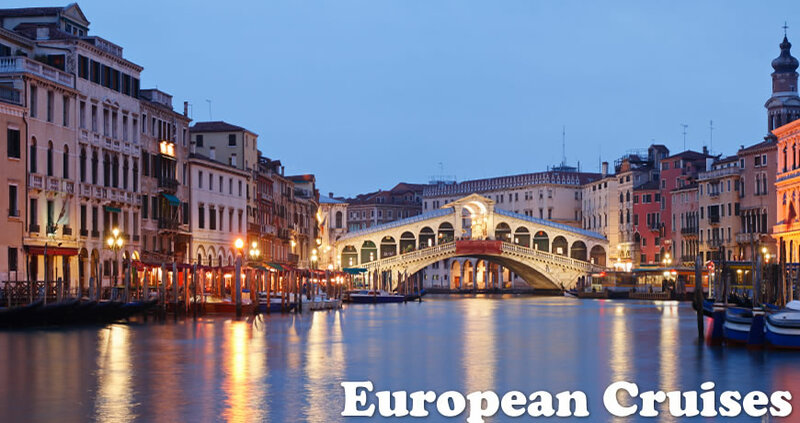 Built upon the edge of a body of water, many well-known and centuries-old European cities are within reach of a boat, and if the ship can'tt travel along the ocean, river cruises, with less motion, are a popular option. 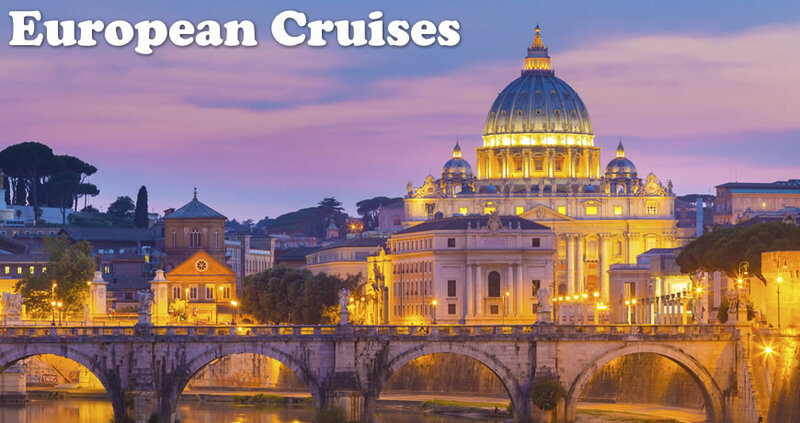 If you've always wanted to explore this continent, European cruises are the perfect mode to do so! • Northern Cruises of Europe. 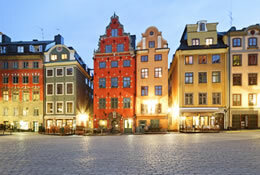 Three distinct areas – the British Isles, Scandinavia, and the Baltic region – are explored on such trips. Experience the confluence of the Viking past with modern culture, the sights and sounds of London and Scotland, and the palaces of Eastern Europe. 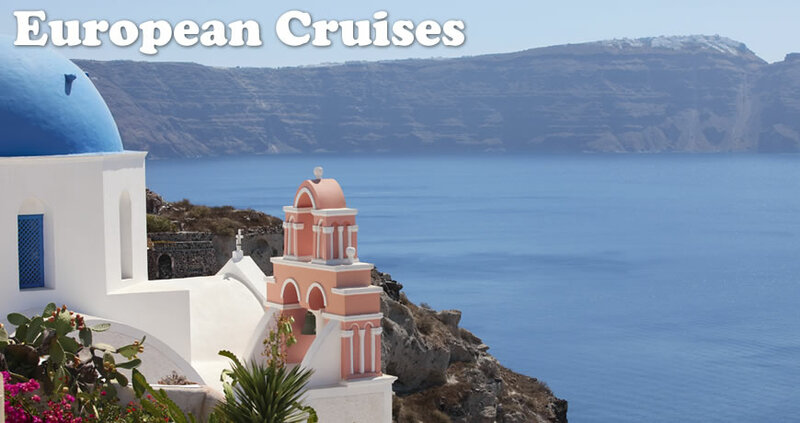 • Mediterranean Cruises. With eastern and western options, such vacations stop in France, Italy, Portugal, Greece, and Turkey. Trips tend to begin in Barcelona or Roma and offer the opportunity to experience the French Riviera, Naples, Gibraltar, Lisbon, Athens, Olympia, and Istanbul. Countries around the Black Sea, including Bulgaria and the Ukraine, may be included in longer trips. • Europe River Cruises. On a smaller boat, such trips explore the cities along the banks of the Seine, Danube, or the Rhine. The classic sights, incredible tastes, and long-standing history of Europe are coupled with the fun and relaxation of a cruise. Through Direct Line Cruises, find Azamara, Cunard, Norwegian, Oceania, Regent, Royal Caribbean, Seabourn, SilverSea, and Viking ships that offer a unique view of the continent. With the exception of transatlantic cruises, most trips begin in Europe, from Amsterdam, Barcelona, Genoa, Hamburg, Oslo, Nice, Lisbon, and several other locations.